【PERFECT PRESSURE】-- High pressure shower head with 9'' great coverage, rain high flow, excellent performance at the high or low water pressure. Choose A Suitable Angle for yourself to enjoy your rainfall shower. 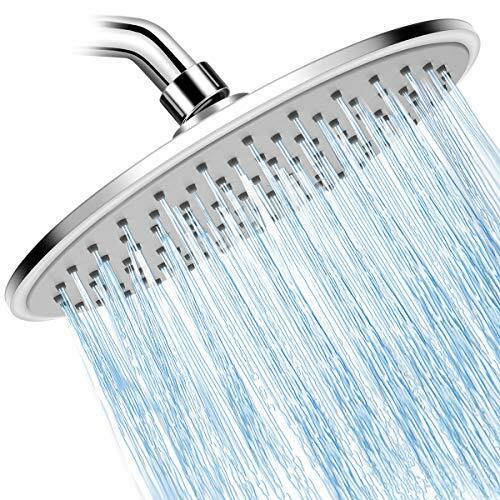 【SELF-CLEANING NOZZLES】-- 108 Anti-Clogging TRP Jets Powerful Shower Head high pressure- Offer more waterfall rainfall shower and Prevent lime and hard water deposits, and easy to clean for the shower head high pressure.